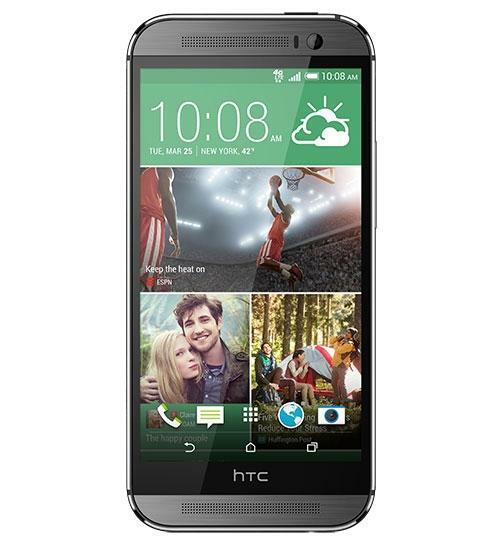 With an elegant aluminum case and massive 5" 1080p LCD display, the HTC One (M8) is HTC's newest flagship phone for 2014. 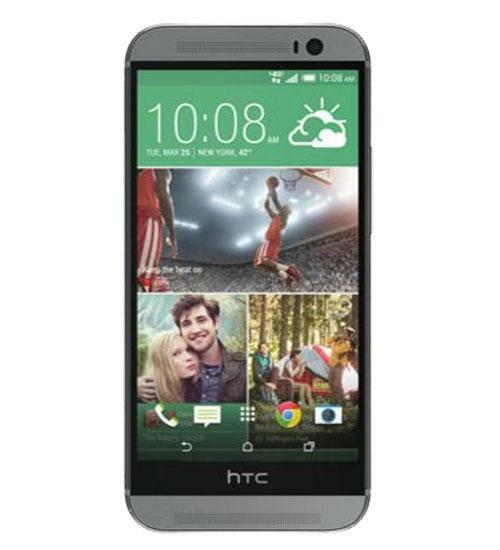 The HTC One (M8) one-ups its predecessor (the HTC One M7) most notably by increasing the display size to 5", improving the front facing camera to a remarkable 5 megapixels, and adding an additional rear facing camera to enhance photo quality. The M8's camera also allows users to take full 360°panoramic pictures, refocus pictures even after they are taken with "UFocus", and take higher quality photos at night with their twice as large, "UltraPixels." 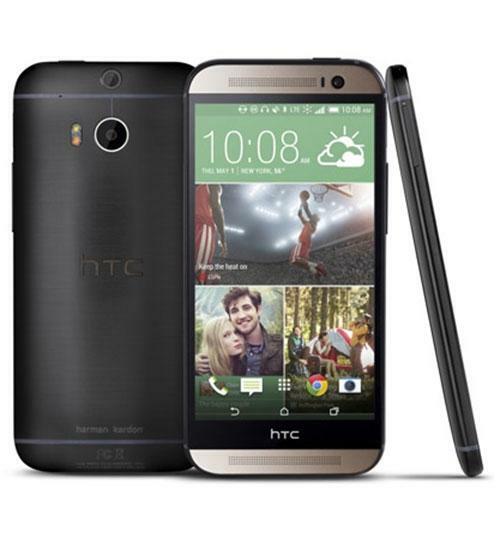 The HTC One (M8) runs on android 4.4, with a 2.3 GHz Qualcomm Snapdragon 801 quad-core processor. 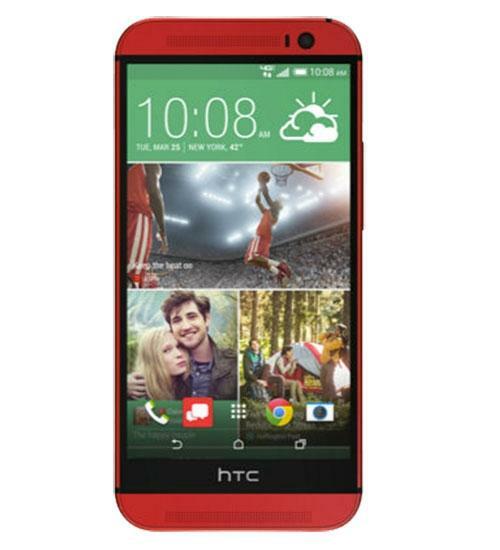 Other notable features include NFC, Wi-Fi, Bluetooth, GPS, BoomSound speakers, and HTC Sense 6.0. HTC One mini 2 vs. HTC One M8 - What's the difference? Cam compares the specs and performance of the two new HTC One-series phones. It's Dogfight time! Cam pits two of the best Android phones against each other? The HTC One (M8) is back in the 30 day challenge rounds and this time around we take a look at a feature that all mobile phones do well but is most overlooked in this new age of technology. Welcome back to the HTC One (M8) 30 Day Challenge! It's day 18 and today we're going to focus on the One (M8)'s display and BoomSound speakers. The HTC One (M8) Challenge continues! This time around, we're focusing on the build quality of HTC's new flagship. In this week's official smartphone rankings, the HTC One M8 and Galaxy Note 3 lockout the front row on both the people's choice and expert panel lists. Welcome back to the HTC One (M8) Challenge at PhoneDog.com! This time around we take a look at the durability of the One since this generation is made out of more aluminum, polycarbonate, and glass. The HTC One M8 is back into our 30-day challenge saddle after months of many new releases. Samsung Galaxy S5 vs HTC One (M8) Dogfight! Samsung Galaxy S5 vs HTC One M8 is here! The new HTC One (M8) has proven itself to be one great device. Buy one Galaxy, get GS10e free! With Unlimited plan. Plus, get $400 when you switch.